Pre-sentence Investigation Report Attorneys - Oberheiden, P.C. 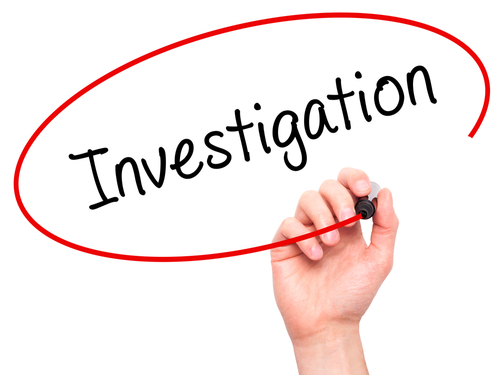 What Is the Importance of the Pre-sentence Investigation Report? After conviction and before a sentence is imposed, a federal court will receive a pre-sentence investigation report about the defendant. While the judge ultimately decides on the proper sentence at his or her discretion, the pre-sentence investigation report plays a vital role in the court’s decision-making process. The pre-sentence investigation report is a comprehensive summary of facts and events that allows the court to learn about the defendant and the case in detail. The report is compiled by U.S. probation officers. The Goal of the pre-sentence investigation report is to gather the necessary and relevant information that allows the court to issue a fair punishment and to choose the right type of prison. Each report contains information obtained from the defendant directly, as well as the U.S. Probation Officer’s own findings. For example, the defendant will be interviewed to learn about his or her personal history and background, childhood, past and current family situation, relationship to family members, physical condition, mental and emotional health, and education level, as well as prior arrests, juvenile offenses, pending charges, gang affiliation, and the like. This information is then put in context with the specific facts, allegations, and circumstances in the defendant’s current case. The pre-sentence investigation report may be initiated prior to the establishment of guilt by starting the interview process. However, it is only after the defendant’s guilty plea or conviction that the report is presented to the court. The final version of the report is compiled when the defendant has completed several actions including a probation department interview, a short written form, a follow up interview, and finally a more in depth written form. The report concludes with program and condition options for the sentencing judge. The report will make recommendations regarding the applicable sentencing options such as custody and incarceration, supervised release, probation, and imposed fines. Additionally, for individuals convicted of a drug offense, the report will address the denial of certain federal benefits, such as eligibility for social welfare programs. The importance of the pre-sentencing investigation report cannot be overstated. It is absolutely crucial that the defendant does not miss any of the appointments with the probation officer because it will reflect poorly upon his conduct. After all, the meetings with the probation officer are the defendant’s first opportunity to show a good faith effort to follow court orders prior to sentencing. Given the report’s critical importance, defendants should not just walk in unprepared when meeting the probation officer. Probation officers are highly trained to ask the defendant tough questions. The answers to those questions can have a significant impact on the probation officer’s recommendations for punishment. Our firm therefore strongly advises that all defendants consult experienced criminal defense attorneys to carefully plan and prepare for a client’s encounter with U.S. probation officers. It is vital to present the information to be included in the report in a favorable light, so that the judge will be relying on correct information when determining the sentence. If you are facing a pre-sentence investigation contact us to speak with an experienced attorney.